Nuclear power is and has been a frequent presence in the news and is particularly pertinent within current debates surrounding pressures of energy supply around the world. 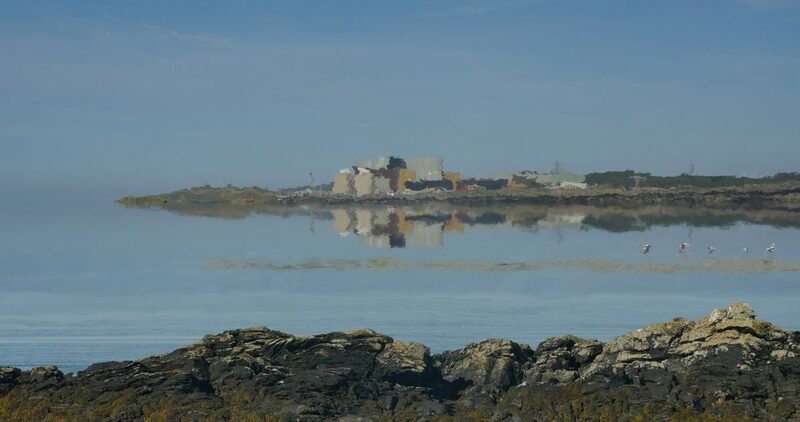 The artist group X-10 bring together the fruits of two years working together around the closure and decommissioning of Wylfa on Anglesey, the last nuclear power station in Wales and the last and largest of the Magnox stations. The final shutdown in December 2015, marked the end of an era for the local community and brings to the fore the question mark over the next generation of nuclear power. The artists in X-10 present a range of compelling responses through video, photography, sound, sculpture, installation and alternative photographic processes to try and come to terms with the conundrums of nuclear power, our future energy requirements and environmental concerns. The group, who practice both in Wales and England, worked closely together through visits to Wylfa and ensuring a process of continual dialogue. Each artist has made an individual response to the physical and energetic presence of the power station, the future legacy for the Anglesey site and to the complex associations of nuclear power. Merging art, science and technology the show presents new questions and thoughts to the nuclear debate. The works present a breadth of ideas such as responses to the often-hidden and somewhat mysterious physical actions of the reactor, the sensitive issue around containment of radioactive waste and to the wider associations of nuclear power. The artists are interested in looking at the site’s physical, political and cultural contexts as well as surveying the actual landscape and its geographical situation. Power in the Land. Opens 6th Feb, Oriel Davies, Newtown, Powys, 5-8pm.